The 26-episode show will go on air on February 2, 2019. Viacom18's free-to-air (FTA) general entertainment channel (GEC), Rishtey just announced its first original show - Navrangi Re - featuring Anil Kapoor and Raju Kher. Mumbai headquartered media conglomerate, Viacom18 has partnered with philanthropic organisation, the Bill & Melinda Gates Foundation to create a limited drama series with an underlying behaviour-change message on sanitation. The show intends to bring the importance of Faecal Sludge Management to the mainstream through an entertaining storyline. Currently number four in the list of top channels in the rural Hindi speaking market, with 3,61,628 (000s) impressions and number nine in the entire HSM, Rishtey has, so far, only airs repeats of Colors' shows. Navrangi Re will hit the airwaves on February 2, 2019 airing twice a week, on weekends. A partnership where the Gates' financed the production cost and the development communications specialist's arm of the BBC, BBC Media Action took care of creative acumen made a concept like this commercially viable for the show to air on an FTA. 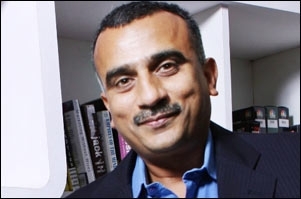 That's what Sudhanshu Vats, group CEO and MD, Viacom18, believes. He says, "Rishtey is the channel that reaches out to the right audience, the right set of people with very little spillovers and that is why we decided to go with it. Apart from Rishtey, the show will air on Colors Oriya and Colors Gujarati and stream on our digital platform Voot." 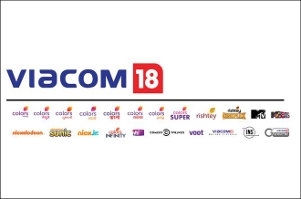 Viacom18 will promote the show through its bouquet of channels and the makers are open to exploring on-ground activations as well. After the first season concludes, depending on the response, in terms of ratings and awareness the education-entertainment initiative generates, the ecosystem partners would decide if releasing further seasons would be warranted. Vats believes that the FTA channel could have more original content to offer. "The idea is to continue to drive the viewership in FTA channels and if that means we need to do some originals, then we will do it. Also, what we term as library content or repeats because the content has already appeared on Colors, is actually fresh for the Rishtey audience because they watch it for the first time. As we go forward with Rishtey you will see us showcasing a mix of library content and originals," he adds. Nina Elavia Jaipuria, Head - Hindi Mass Entertainment & Kids TV Network, Viacom18, says, "At Viacom18, we are storytellers and we believe in harnessing the power of stories to bring about change. Navrangi Re is a product of that philosophy. It is a powerful story narrated entertainingly with the idea to mainstream a topic as important and nuanced as Faecal Sludge Management. Given the wide audience we are targeting through this social impact programming, Navrangi Re is an apt fitment as the first ever Rishtey Original." Produced by Swastik Productions, Navrangi Re is the story of a mohalla (neighbourhood) in a town in Northern India full of quirky and endearing characters. This gamut of colourful characters - from a talking wall to a rich and ruthless diva, a spoilt brat, a strong female lead that refuses to give in, and an underlying monster that's growing underground, is what helps build the story. It is created to be a laugh-a-minute series of a community living on the edge, teetering from one crisis to another and then deciding to take control of their lives. Vishwaas, the hero of this 26-episode television drama series, played by actor Aamir Ali, is a struggling TV journalist always looking for career-defining 'breaking news'. In his hunt for a story, he discovers something bigger - the gateway to bring about change in his mohalla. The show has the potential to be highly entertaining with an ensemble cast made up of thespian actors such as Susmita Mukherjee and Raju Kher and promising new talent like Vaishnavi Dhanraj, Manmohan Tiwari and others.